Career expositions attended by university students offer companies a great opportunity to market themselves to potential employees and ensure that they are at the top of the list of places to enquire about vacancies when the latest crop of graduates starts looking for work. If you want to make the most of these opportunities, take a look at the list of tips below, which I have put together in the hope that they will help you to make a big impression at job fairs across the country. 1. Outline possible promotional paths. Prepare materials that will help potential employees to understand exactly what your company has to offer with regard to structured career paths for new employees. People who know what they could achieve if they are willing to work hard are usually more motivated, so outlining future opportunities for new recruits will not only help your firm to attract more applicants but also ensure that they are highly motivated once they join your organisation. 2. Use large, colourful banners on your stand. If you are competing for the attention of jobseekers with hundreds of other commercial organisations at a large career exposition, you will need to make sure that your stand is easily visible from a distance. Large banners with basic details of what your company does and the job opportunities it has to offer can be displayed alongside colourful images. 3. Hand out promotional merchandise. Mugs, pens, baseball caps and other products that are decorated with your corporate name and logo will help visitors to remember your company in a few months’ time, when they are actively seeking work. Given that many people are asked to wear an ID card around their neck when visiting companies for interviews, the high quality branded lanyards in New Zealand and other countries could be a good choice of promotional merchandise as they are sure to be used on a regular basis, providing your firm with excellent exposure. 4. Use audio visual presentations. People are more stimulated by sound and moving images than they are by static pictures so it is a good idea to hold presentations throughout the day, with a strong audio-visual element. If you manage to attract a small crowd at regular intervals, other job fair visitors will wonder what is so interesting about your stand and be more inclined to come and take a look for themselves. It is worth hiring professional video camera operators and a director for any corporate films that you make as amateur efforts are unlikely to impress. 5. Man your stand with successful, highly motivated employees. If visitors can see for themselves that your workers are happy, successful and enthusiastic about their careers, they are more likely to feel positive about joining your workforce themselves at some point in the future. It is also a good idea to make sure that the people you choose are all familiar with the dos and don’ts of public speaking so they are able to communicate their enthusiasm to visitors and appear at ease at all times. People who are nervous about speaking in public will make their audience uncomfortable and this is the last thing you want when you are trying to attract and hold the attention of as many visitors as possible. 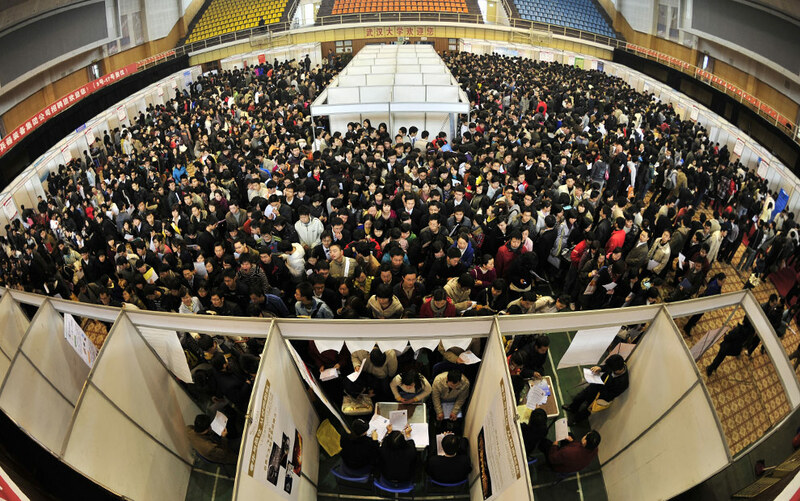 Job fairs give companies a chance to make a really good impression on graduates and ensure that they get their fair share of applications for work from highly educated individuals every year. Make sure that your company does not have to settle for second best, by putting your best foot forward at career expositions.